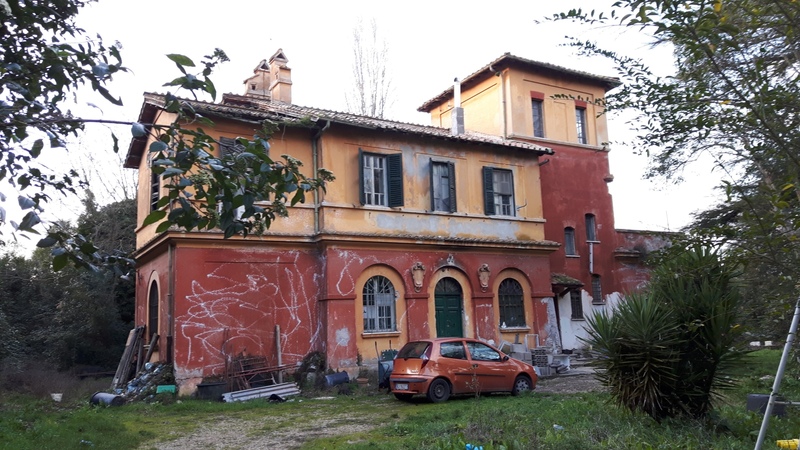 This building was one of the 32 antimalarial stations built in the first decades of the 20th century in the Ager Romanus, today in the suburbs of Rome (via Clarice Tartufari, 82), for educational and medical interventions against malaria1. This Station, the Number XXI, was built just in front of the mediaeval fortification known as "Castel di Decima". 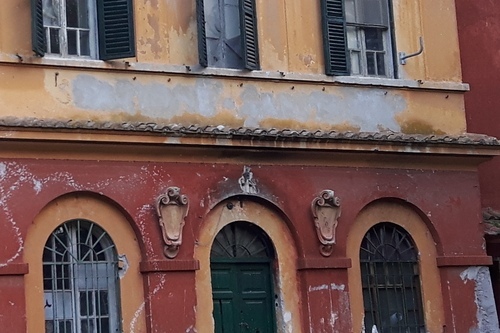 Even if it has been deleted, on the facade you can still guess the presence of the inscription "STAZIONE SANITARIA", along with two coat-of-arms of the Municipality of Rome (S.P.Q.R.). 1. See Le Stazioni Sanitarie (1921-1953).